Legacy QuickGuidesTM have quickly become one of the more popular resources for genealogists. Each guide contains four (sometimes five, sometimes more) pages of valuable information covering a variety of genealogy research topics, dozens of clickable links, and are written by genealogists and family historians who are experts in the subject areas. We've added another new Legacy QuickGuide: Using Archives to Fill the Gaps in Your Ancestor's Timeline by Melissa Barker. Now choose from 90 Legacy QuickGuides! Have you ever wanted to compare two photos who you think are the same person? Maybe one photo was taken in early adulthood and the other late in life. Determining for sure who is in a photo can be tricky. In this webinar Maureen Taylor takes you on a tour of facial recognition tools that can help identify your ancestors. Television crime shows make facial recognition software look flawless. In fact, it’s less than perfect. This lecture explores the myths and realities of facial recognition software including how it works and when it works best. Paying attention to facial details is just one step in determining if you have two photos of the same person. It’s about paying attention to the evidence in the picture and the clues in your family history too. Many users don't know about this very handy tool. You can swap an alternate name for the birth name and you can swap any custom event you have entered for a vital event. Let's say I discover that an alternate spelling of a person's name is actually the correct spelling. I can swap the two names and the sources for those names will also swap. Another reason you might swap is if you are dealing with someone that has legally changed their name or it is an adoption situation. You always want to record the name as it was at the time of the birth but you might want the name they actually use to print in a report. You can temporarily swap the names for the report and then swap them back. If I have entered conflicting or alternate vital event information as a custom event, and then learn that this information is actually correct, I can swap the two events instead of having to retype everything and then reattaching the sources. This is a time saving feature that I have used many times. Ask Legacy: how do I invite others to work on my tree? Several cousins and I have been working on our genealogy for the past several years. Two cousins are using Ancestry.com software but the limitation is only one person can input data. We are looking for a program where say around 4 or 5 of us could input data and all have access to the program. Does your program have this capability? Great question Alexandra! 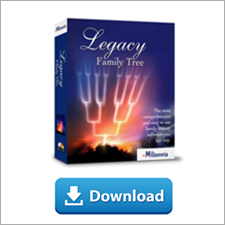 Yes, Legacy Family Tree software is set up to allow a group to work together on the same tree. Below are a few methods of doing this. Using this first method, you need to pick one person to be the "master keeper of the files." This person first creates a new Legacy family file (or uses their existing one) and then shares it with each member of your research group (create a backup of your family file, email it to the others, and have them restore the backup into their copy of Legacy). Each person in the group works on their part of the family tree, updating or adding new data. At an agreed upon time, everyone sends their Legacy file back to the master keeper who then imports the files into the master copy. Using Legacy's IntelliShare tool (found at Tools > Merge Duplicates > Find Duplicates > Special Duplicate Searches) they merge in all the changes and resolve any discrepancies. With the newly updated master family file, the administrator then sends out a new copy for everyone in their group to work on. 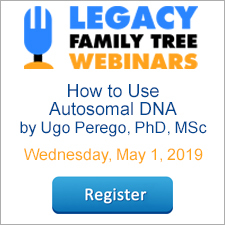 For more information on IntelliShare, view the IntelliShare topic in Legacy's help system or view the "Merging and Intellishare" section of the webinar, "Using Legacy Family Tree to Support Family Groups/Associations." While I haven't personally used this method, many Legacy users have success when moving their family file to a shared network drive or with the use of Dropbox. Each person in the group would need to have access to the network drive or to the Dropbox folder. The downside of using Dropbox, is only one person can have the file open at a time so you would need to coordinate your efforts. If accessing the family file from a network drive, multiple people can be using the family file at the same time as long as they are not editing the same person at the same time. For more information on how other Legacy users use Dropbox, search the archives in our Legacy User Group on Facebook or view the "Legacy and Dropbox" section of the webinar, "Dropbox for Genealogists." If you want to collaborate in an online environment where nothing needs to be checked in and out, you don't need to be careful about only one person using the file at a time, and everyone in your group can see everyone's changes and additions in real time, you might give MyHeritage a try. A basic site where your entire group can collaborate is free for up to 250 people in the tree, or you can upgrade to an unlimited tree for an annual fee. To get started, visit www.myheritage.com and start your tree. Then, invite others in your family to participate (Home > Invite family). You'll want to ensure that site members have access to edit the tree (Family Tree > Manage Trees > Edit Tree Settings). In a future Legacy upgrade, both Legacy and MyHeritage will interact together. You'll be able to have your data in one or the other, and also take advantage of each other's strengths. I have my personal tree in my Legacy Family Tree software where nobody else can view it unless they're sitting next to me or I optionally share portions of it with them. I also use Legacy's FamilySearch tool to provide updates to FamilySearch's Family Tree so others can benefit from my work. I also manually add new findings to various online trees so I can take advantage of all of the hinting resources out there. Finally, I always have an updated copy of my tree at MyHeritage so I can take advantage of their free mobile app and have my tree with me anywhere I go. I also make a backup of my Legacy family file: I use its backup tool to backup to my hard drive, to my Dropbox folder, and to my Legacy Cloud account. So, this answer may have been a little longer than you hoped for Alexandra, but I hope it's given you a few ideas. And remember, life is short, do genealogy first!